A local farmers-scientists group condemned the covert visit of the notorious GMO/vaccine advocate, Bill Gates, who is trying to convince the Philippine government to use genetically modified Golden Rice as the solution to vitamin A deficiency when Malungay or Moringa, which is very rich in Vitamin A and all other nutrients, is already pervasive in this part of the world since Moses’s time. Is Bill Gates that desperate in killing us all here? Or, is he just plain stupid? We hope that this guy realize how irritated we already are with his arrogant interference to our domestic affairs. He can take IRRI with him anytime of any day! 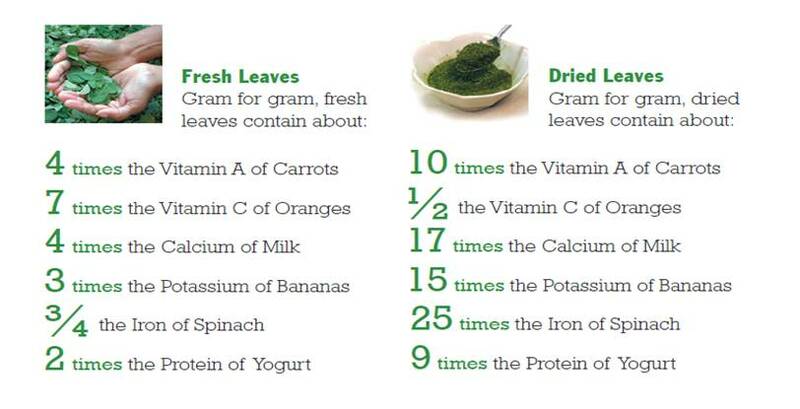 Moringa’s benefits are more than we need. Farmers, scientists and consumers show a number of vegetable and fruits that are rich in Vitamin A, and are naturally found in the farms. 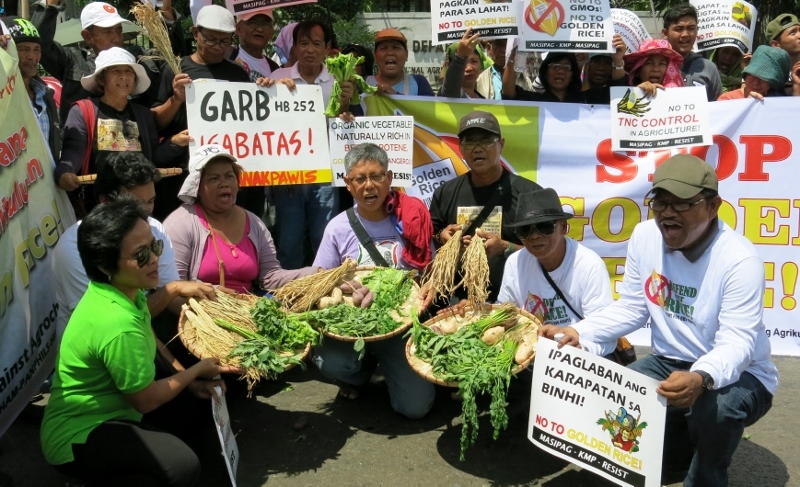 Los Baños, Laguna – Farmer-scientist group MASIPAG today exposed the impacts of Golden Rice saying that it is nothing more than a tool to deceive people into accepting genetically modified foods in people’s farms and tables. According to the network, Golden Rice proponents and lobbyists are merely using the malnutrition issue to sell their technology at the risk of the Filipino peoples’ health and the country’s agrobiodiversity. 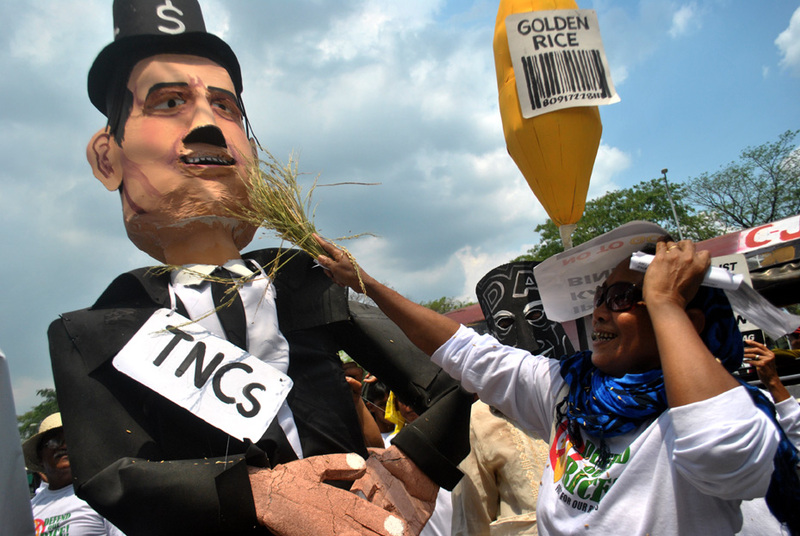 The network also denounced the visit of Allow Golden Rice Now!, a Canada-based advocacy group which is currently in the Philippines promoting the adoption of Golden Rice. Golden Rice is a genetically engineered rice that has been modified to express beta-carotene, a precursor of Vitamin A, which is one of the essential micro-nutrients that the body needs. Golden Rice, which is being developed by the International Rice Research Institute (IRRI), will supposedly address Vitamin A Deficiency (VAD) in developing countries such as the Philippines. A known pro-Golden Rice lobby group, the Allow Golden Rice Now! headed by Dr Patrick Moore, is in the country at present to promote the technology amidst the intense rejection and resistance of farmers and consumers. Dr. Medina cites recent studies and pronouncements of various scientific bodies and authorities that point to the possible negative impacts of genetic modification. According to several studies, genetic modification alters the original genetic make-up of the organism, producing new chemical products that can have negative, unintended and uncontrolled consequences. In 2014, IRRI has announced that it has pushed back the commercialization of Golden Rice due to its very low yield performance. At present, there have been no studies on allergenicity and toxicity of Golden Rice, which should be first established in animal feeding trials before feeding trials on humans commence. So far, the only feeding test of GM rice conducted were in China, which was met with ethical issues as the project leaders failed to inform the children and their parents that it was GM rice they were feeding them with. MASIPAG believes that while VAD is a serious concern, there have been cheap, practical and viable ways to address the issue that have contributed to its decline. In fact, the percentage of children aged 0-5 years with VAD have already decreased to about 15% in 2008, mainly from the Department of Health (DOH) interventions such as Vitamin A supplementation and food fortification. MASIPAG has been at the forefront of the sustainable agriculture movement in the country for almost 30 years putting emphasis on developing food security among the resource-poor farmers in the country. Golden Rice is largely tied with patenting issues, which could jeopardize millions of farmers who rely on free sharing, saving and improvement of seeds. Syngenta, while claiming that the Golden Rice will be made royalty-free for farmers earning ten thousand dollars or less a year, has not yet relinquished their more than 70 patents to the Golden Rice technology. Next post: Medical Over-Treatment: 3rd Leading Cause of Death in U.S.